When I started the MovemberMania team, my goals were pretty simple: Raise more money than we did last year and to get the bow-tied weatherman Chief Meteorologist in Memphis to help get me get the word out about Movember. So here we are now – just past the halfway mark of the month – and I’ve been floored at what all has been accomplished. 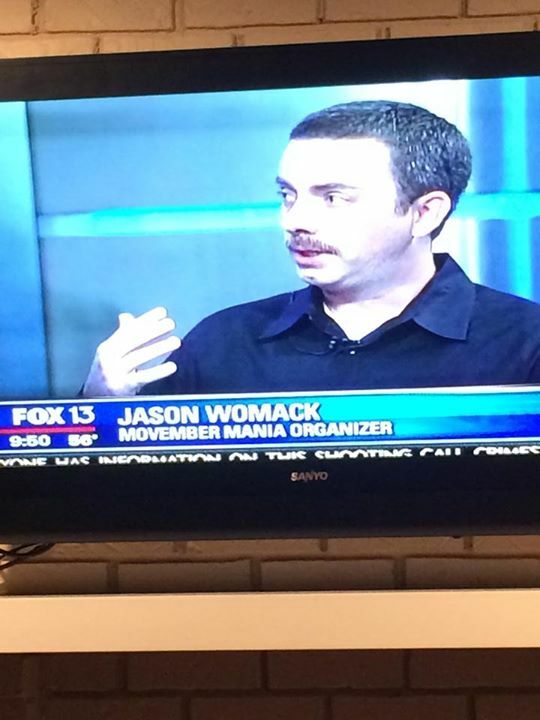 Not only did The Bow Tie (aka Joey Sullipeck) help promote Movember by getting me on air at Fox 13, he actually joined MovememberMania along with Matt Stark, Fox’s Sports Director. The two are competing against each other to raise money. To donate to Joey click here. To donate to Matt click here. Those accomplishments alone would have made my MovemberMania efforts a success, but I still had another goal that I wanted to accomplish. A donation of $30 or more could get you some of these from Sweet Treats Bakery. 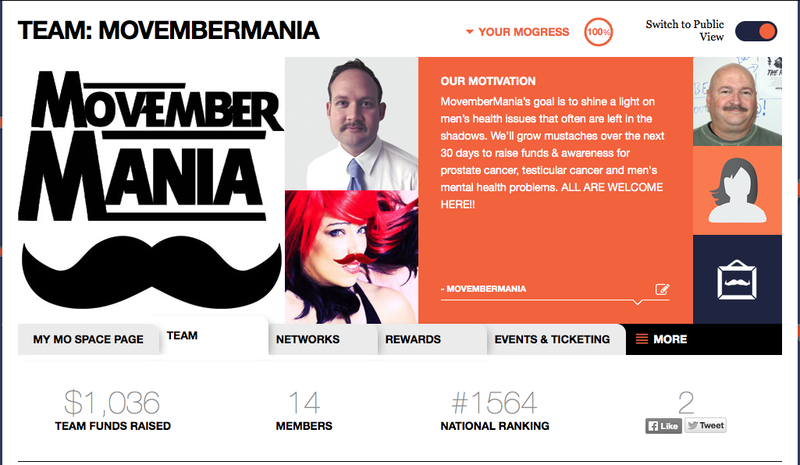 Last year I was obsessed with raising the most money on my team, Bloggers for Movember, which was unknown to everyone else. As a team we raised over $990 and I brought in over $600 myself. I was so engulfed with winning raising the most money last year that I resorted to bribery. It worked so well that I’ll be bribing people again this year too. 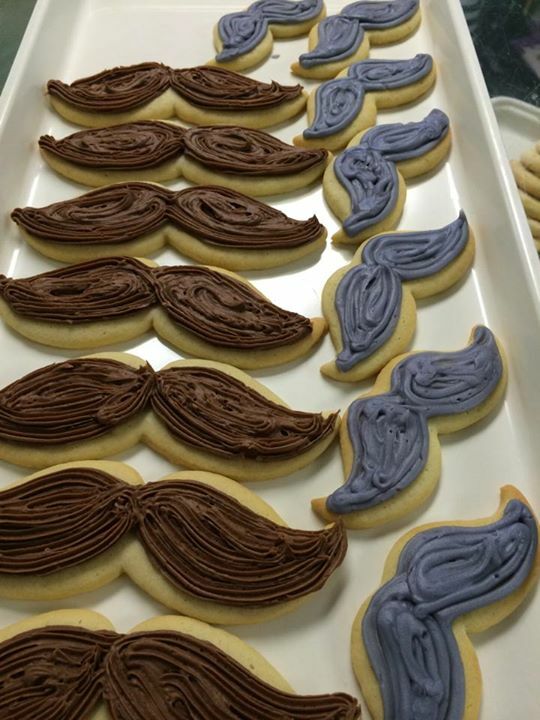 I will ship a dozen cookies from Sweet Treats Bakery to anyone who makes a donation of $30 or more to me OR to the MovemberMania team. Sorry, I got distracted thinking about all of the delicious cookies my sister and Mom make that I forgot what I was talking about. So this year I set a goal of raising $1,000 for the month. I wasn’t sure if I’d be able to raise as much money as I did last year, so I set it at an amount that I thought the team could hit without it being too lofty. I also told myself that it didn’t matter if I raised the most money this year because all I cared about was that the TEAM raised $1,000. 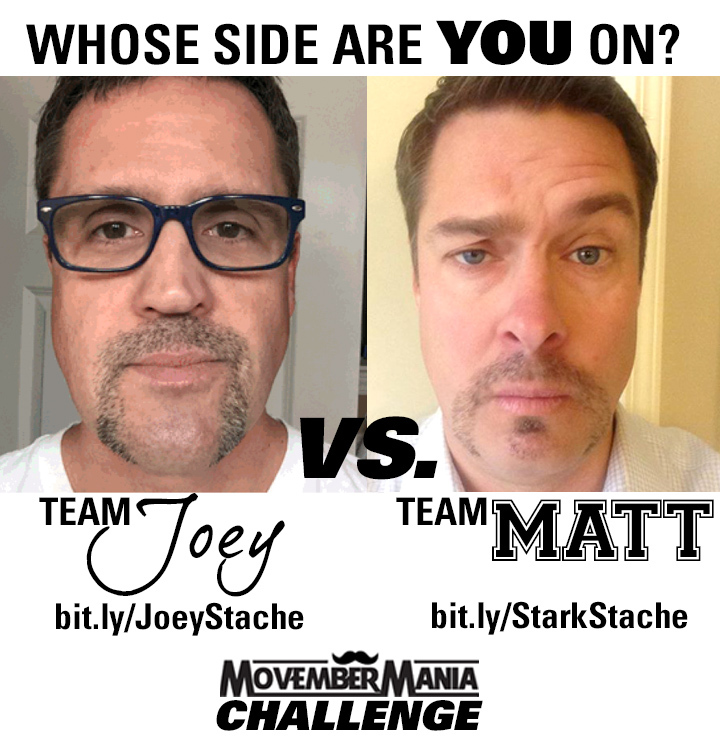 I spent most of the first week trying to recruit, get people to donate to Joey or Matt and just get the word out about Movember. So I was beyond thrilled when twelve days into the month we had already raised more than half of our goal. But words can’t describe how I felt about what I saw today. Not only did we pass our goal – only 17 days into the month – but we did it due to an unbelievably, generous anonymous donation of $250. I have no idea who made such an incredible donation, but I wish that I did. Even if you don’t know me and gave for someone else on the team, I want to personally thank you. I want to send you cookies as a token of my appreciation. I am honored when anyone donates to me or anyone on MovemberMania. Having someone give their hard-earned money – no matter how big or small the amount – to Movember in our names makes my heart feel good. Not just because someone gave, but because I know we, as part of Movember, are doing good things. So to whoever donated so generously late Sunday night, THANK YOU. I would like to thank you personally, so feel free to email me at jason.wommack@yahoo.com. I promise you will still remain anonymous. A big thank you also goes out to those of you who have donated to those on MovemberMania. Even though we’ve hit our goal already, by no means are we slowing down. If you have been thinking about donating, please give what you can. Gallery | This entry was posted in 2014, Daily Life, Movember and tagged daily life, health, humor, life, mens health, Movember, Mustache, people. Bookmark the permalink.